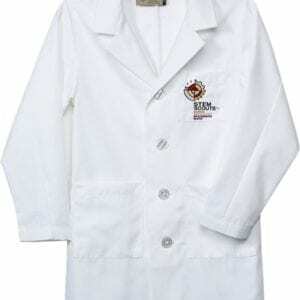 This is the official uniform lab coat for STEM Scouts in youth sizes. 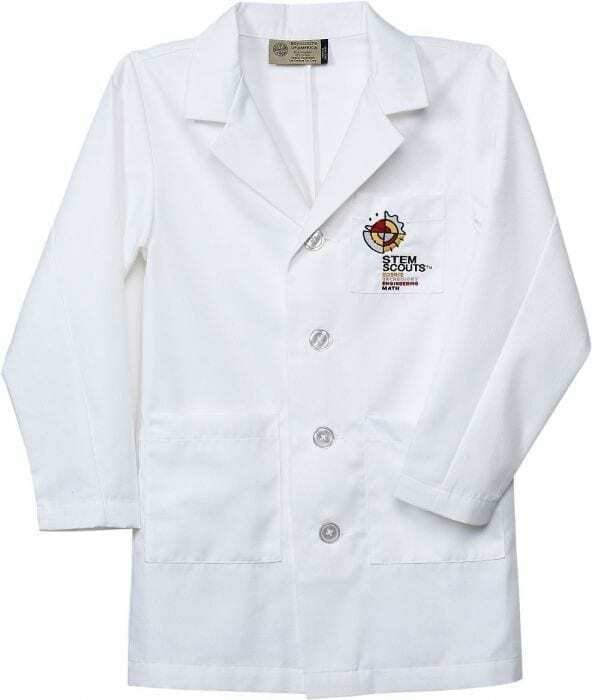 This uniform keeps all Scouts clean and neat so they can focus on their experiments and not on keeping their clothes protected! It is designed to protect the Scout’s clothes underneath and is made of polyester. It has long sleeves and the STEM Scouts logo over the left side of the wearer’s chest.